244 pages | 23 B/W Illus. Graffiti are ubiquitous within the ancient world, but remain underexploited as a form of archaeological or historical evidence. They include a great variety of texts and images written or drawn inside and outside buildings, in public and private places, on monuments in the city, on objects used in daily life, and on mountains in the countryside. In each case they can be seen as actively engaging with their environment in a variety of ways. Ancient Graffiti in Context interrogates this cultural phenomenon and by doing so, brings it into the mainstream of ancient history and archaeology. 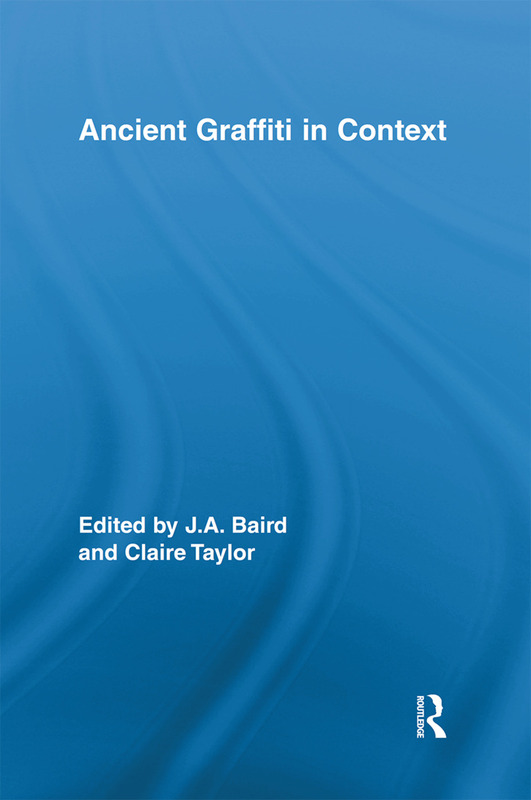 Focusing on different approaches to and interpretations of graffiti from a variety of sites and chronological contexts, Baird and Taylor pose a series of questions not previously asked of this evidence, such as: What are graffiti, and how can we interpret them? In what ways, and with whom, do graffiti communicate? To what extent do graffiti represent or subvert the cultural values of the society in which they occur? By comparing themes across time and space, and viewing graffiti in context, this book provides a series of interpretative strategies for scholars and students of the ancient world. As such it will be essential reading for Classical archaeologists and historians alike. J.A. Baird is Lecturer in Archaeology in the Department of History, Classics, and Archaeology at Birkbeck College, University of London. Her Leverhulme-funded project, Communities on the Frontier, uses archival records and new fieldwork to examine the ancient site of Dura-Europos in Syria from its material and textual remains. Claire Taylor is Lecturer in Greek History at Trinity College Dublin. She has written on various aspects of fifth and fourth-century Athenian politics and society as well as on the epigraphic culture of non-elite groups. Her currently research explores wealth and poverty in fourth-century Attica.